Let's have a Pride Kiki! Yale and UPenn are coming together this Pride for the annual Penn-Yale Pride Mixer. 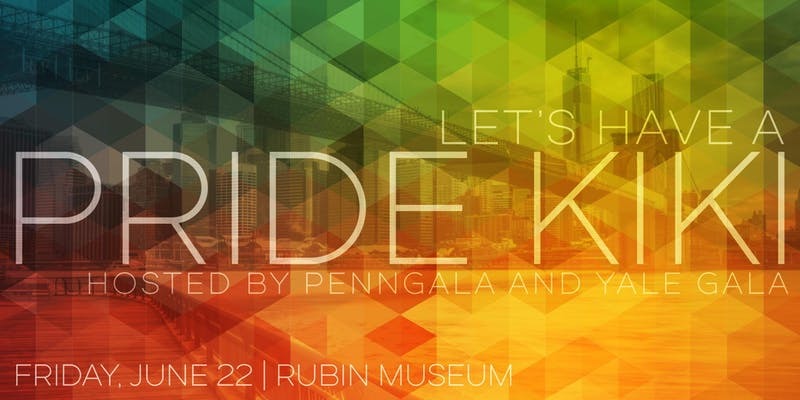 Please join us at the Rubin Art Museum for an evening of celebration with friends, colleagues, and extended family of the Penn and Yale alumni groups. Each ticket will grant attendees 2 complimentary drinks, including tax and tip.